With the coastline being so vulnerable to hurricanes and rough winds, it’s critical for residential and commercial building projects to be held to a higher standard. This is why any new construction, addition, or renovation in a coastal city requires the expertise of certified windstorm engineering professionals. Cobalt Engineering and Inspections provides property owners on the Texas coast with structural design, windstorm inspections, and engineering services, all performed at the highest caliber to ensure compliance with wind-resistant guidelines. Since 2008, the law has required for all structures built or amended after 1988 to be inspected and meet certain provisions to qualify for Wind pool insurance coverage. 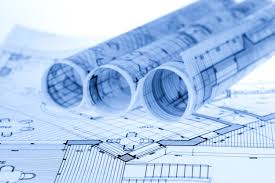 However, before the inspection can take place, a blueprint for the building must be created and successfully developed, which is where windstorm engineering plays a major role. Windstorm engineers will make sure all design plans for a building are drawn up with a strict adherence to the regulations, saving owners significant loss from windstorm damage. During the engineering process, several components of the construction will be specifically addressed. It is the responsibility of the windstorm engineer to make sure the foundation is well-equipped to withstand heavy wind loads. The framing, as well as its anchors and connectors, must satisfy windstorm building codes. All windows and doors will be adjusted for wind pressure requirements, and the appropriate roofing materials will be selected and applied. With the right windstorm engineering experts, you can easily make your dream construction become a reality. Call Cobalt Engineering and Inspections at (409) 526-9988, or visit the website to learn more about the company’s range of services.